Kayaks and canoes are available in a variety of types and styles, and though all of these are perfect for a leisurely cruise on the water, there are some which are suitable for certain activities. 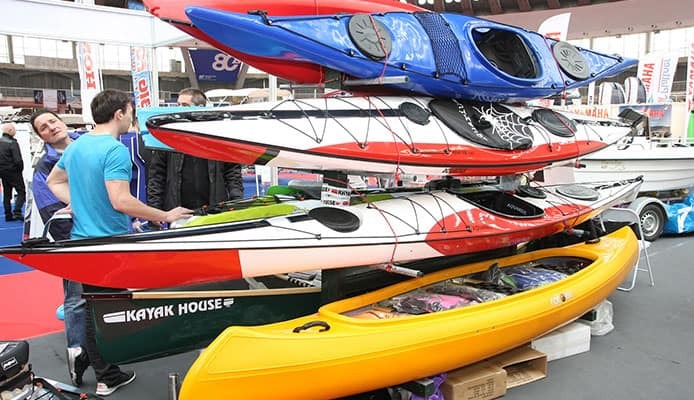 If you are in the market and looking for a small watercraft for your paddling activities, you’ll need to be familiar with the different types of kayaks and canoes to ensure that you get the perfect type of boat for you. That said, here is a list of the different types of canoes and kayaks along with the pros and cons of each. 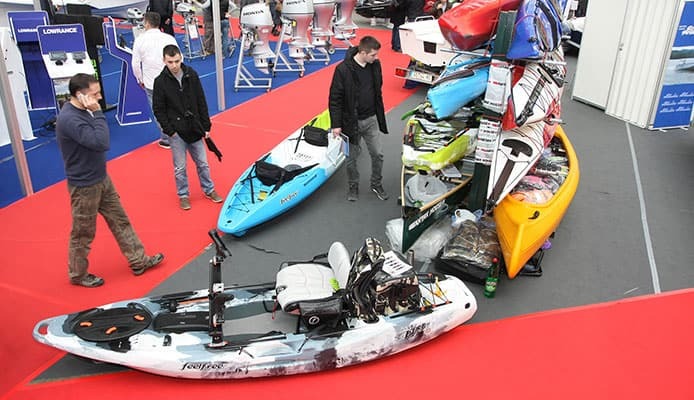 Most kayaks generally fall under two main design categories: sit-inside kayaks and sit-on-top kayaks. The sit-inside kayak is what comes to mind when talking about kayaks. These kayaks look pretty much the same as the ones invented and used by the Inuit and other people in the arctic regions. It has a slim, narrow body and an enclosed cockpit where the paddler enters and sits. Modern day sit-inside kayaks though have more features than these. A typical sit-inside kayak nowadays have padded kayak seats, armrests, footrests, a backrest and cup holders inside of the cockpit area, and other features to enhance the comfort and performance of the paddler. Because of the enclosed deck, sit-inside kayaks are perfect for kayakers who want to stay dry while paddling on the water. An additional spray skirt can be installed in to close up the cockpit and prevent water from then entering there. The enclosed cockpit is also great for keeping the lower extremities of the paddlers warm and dry when do go kayaking in the winter. Speaking of keeping warm, kayakers can also wear kayaking wetsuits and kayaking drysuits for insulation. However, this enclosed cockpit design can also limit that mobility and maneuverability of the paddler. So if you need to move around easily in the kayak, perhaps reach for something or even jump out for a quick swim, then the enclosed cockpit can be a problem. A sit-inside kayak also offers plenty of storage space, which makes them great for extended trips on the water. There are kayaks that offer hatches on both the bow and stern, along with hatch covers to prevent water from entering and keep the items therein safe and dry. A sit-on-top kayak is designed very differently from a sit-inside kayak. Instead of a closed deck, the sit-on-top kayak has an open deck which makes it look like a canoe. And being open-decked, a sit-on-top kayak has no cockpit and have molded seats instead. This kayak design gives it a lot of advantages over the sit-inside kayak. For one, it is much easier to move around in a sit-on-top kayak because it does not restrict the paddler’s legs. So if the paddler needs to reach for something in front or behind him in the kayak, then this can be done without much trouble. Also, paddlers should be able to easily get in and out of the kayak, whether that’s at the top rated floating dock or while on the water. Along that line, the open deck design makes it easier for a large person to get on the kayak, as opposed to squeezing themselves into the cockpit of a sit-inside kayak. This makes sit-on-top kayaks a good choice for wade fishermen and even casual kayakers or swimmers who need to get in and out of the kayak often. Also, because sit-on-top kayaks are generally made from a single-sealed unit and are wider than sit-inside kayaks, they are less prone to sinking and flipping over. Kayaks can also be described according to the material they’re made from. There are plastic kayaks, fiberglass kayaks, and even wood kayaks. However, kayaks are generally classified according to their purpose. There are two main types of touring kayaks available: day touring kayaks and performance touring kayaks. Day touring kayaks are considered as a good all-around kayak since they have pretty good stats overall when it comes to stability, tracking, efficiency and maneuverability. But then, like most other jack-of-all-trade kind of things, these types of kayaks don’t really excel at any one particular area. Performance touring kayaks on the other hand is specifically built for, as the name suggests, performance. They are designed to be efficient in water, and can even be outfitted to further enhance their performance and other features. These types of kayaks also tend to be longer and narrower than day touring kayaks, and these features makes them more efficient when it comes to tracking over the waters to give the kayaker and his kayak paddle a rest. However, it should be noted that this added length will make it more challenging to maneuver around. Also, a narrower kayak will be speedier than a wider one, but it is less stable and even have lesser room for storage. Touring kayaks are also equipped with a drop skeg or a rudder, the former helping to keep the kayak paddling in a straight line while the latter helps the paddler control the kayak by providing a means to steer it. Typically, a skeg is installed on a touring kayak with lots of rocker (the amount of curve, measured from the bot to the stern, in a kayak) while a rudder is equipped on kayaks with less rocker. Recreational kayaks are excellent choices for the casual paddler, one who is looking for a basic kayak for a few hours of paddling around lakes or slow moving rivers and streams. This is also a great kayak for beginners who are just starting to learn the ropes of this sport. Recreational kayaks have a large cockpit to allow for easier entry and exit, but in most entry-level kayaks, the seat aren’t always that comfortable. This issue could easily be addressed with the addition of a padding on the seat. High-end recreational kayaks will have better seating, but you may still find the need to use a padded seat if you’re looking for added comfort. Recreational kayaks are also generally shorter than most other types of kayaks out there. They’re also wider, which means that they’re not really fast, but this makes the kayak more stable and even more comfortable for the new paddler. However, they’re not really designed for rough water and strong winds, meaning if there’s a lot of waves with some strong winds blowing all over the place, this is not the kayak you want to be in. As was said earlier, these kayaks are for the casual or beginning kayaker, and is best used in waters that are calm and slow moving. Anglers who are looking for a quick and easy way to paddle across the water and reach fishing spots that large boats cannot access often make use of a fishing kayak. Most fishing kayaks are sit-on-top versions, and there are plenty of reasons why this is so. For one, it is much easier to get in and out of a sit-on-top kayak than a sit-inside kayak. Also, the open deck design gives them plenty of room to maneuver and turn which is often necessary when casting their lines. Finally, fishing kayaks can be outfitted with a variety of add-ons and features to make fishing a much comfortable and enjoyable experience. They can have large tank wells for holding and keeping their catch alive, rod holders to hold their fishing rods when trolling, a spacious deck to carry their tackle boxes and many other features. There are also mounts to hold kayak fish finders securely. Like most sit-on-top kayaks, fishing kayaks are generally shorter and wider than other types of kayaks. This design gives the kayak more stability, which is often important as kayak anglers find themselves battling with a large fish. The extra width also provides more carrying capacity for the kayak, which is an important consideration for kayak anglers who like to bring a lot of fishing. But unlike narrower kayaks, fishing kayaks won’t be able to go fast on the water, especially when it comes to ocean fishing kayaks in rough coastal waters, which is okay since speed isn’t what kayak anglers are after. Duck hunting kayaks have pretty much the same features as a fishing kayak in terms of stability, storage, and so on. What makes it really stand out though is its camouflage-ability. When hunting for ducks, you’ll want to be able to go where other hunters and their regular duck boats can’t. But sometimes, that isn’t enough since you’ll also want to be able to slip among those unsuspecting ducks without scaring them away. A small duck hunting kayak, perfectly camouflaged to blend in with your hunting ground’s surrounding, will allow you to do just that. Storage is another important factor to consider when looking for duck hunting kayaks. Aside from your duck and goose hunting shotguns, you’ll be carrying along boxes of ammunition, decoys, and several other items you will need for the hunt. Duck hunting kayaks are spacious enough to carry these and more. They also have hatches for dry storage, which is necessary to keep your ammunition and other important items dry. Whitewater kayaking is possibly the most exhilarating kayak sport. There’s nothing like battling against whitewater rapids and maneuvering through large rocks and other obstacles to avoid crashing into them. However, not all kayaks are meant to be used in such waters for safety and performance reasons. This is where whitewater kayaks come in. Whitewater kayaks are specifically designed for paddling in rapids. There are two general styles of whitewater kayaks, those designed for creeking (running steep, technical rivers) and there are those designed for playboating (surfing and performing tricks on stationary river features). Kayaks for creeking are generally longer which allows for decent speeds necessary for catching waves. Kayaks for playboating are much shorter, making them nimble and easy to maneuver to allow paddlers to make quick spins and turns. Pedal kayaks have been around for a while and have become quite popular in the recent years. Some purists though have trouble leaving their paddles behind and jumping into these new types of kayaks. Nonetheless, they’re here and considering how people patronize them, they’re bound to be a mainstay in the kayaking world. As the name suggests, pedal kayaks are propelled by foot propulsion systems, mainly a rotational pedal or a push pedal system. There are several advantages to this kind of setup. For one, it leaves the person’s hands free for other activities, like leisurely drinking from a water bottle or taking photographs while propelling the kayak forward. Keep in mind though that you will still need to use your hands to maneuver the controls and turn or reverse the kayak. These types of kayaks also often have better seats. Aside from adjustable seat heights and movable seat locations, these are also designed in such a way that they fully support the back as the person leans back to pedal the kayak. Inflatable kayaks are exactly what the name implies. These types of kayaks are made of fabric as PVC or Hypalon as opposed to the usual plastic or fiberglass used in hardshell kayaks. Though there some differences between the actual performance between inflatable and hardshell kayaks, many enthusiasts actually enjoy using inflatable in a variety of activities and conditions. Perhaps the biggest advantage of inflatable kayaks is their weight and size. Because these kayaks can be deflated, you should have no trouble with since they can basically fit into the backseat or in the trunk. You also wouldn’t need to worry about storing your kayak since they can be placed in shelves or even under a bed. Some people also have second thoughts about the durability of inflatable kayaks, worrying that the fabric will be torn while they’re out in the water and find themselves capsizing. However, inflatable kayaks nowadays are made from very strong fabrics that can take a significant amount of abuse and still remain intact, just like those used in making inflatable whitewater kayaks. If there’s any issue with inflatable kayaks that would be the inflating and deflating process, which can take some time especially if you’re using a manual pump. However, this can be easily addressed by using an automatic pump to inflate and deflate the kayak. Just like kayaks, there are also different types of canoes available for paddlers. Here are four of the most common. Recreational canoes are the most common types of canoes, usually made from either plastic or aluminum and are pretty basic in their design. These canoes are the ones you see on display in sporting goods stores and at local canoe rental shops. They’re also the kind of canoes you’ll see being used in many summer camps alongside recreational kayaks. They’re versatile and can be paddled in lakes, rivers, and streams. Being versatile, easy to operate, and generally safe these canoes are perfect for those who are planning to get started with canoeing. Expedition canoes are primarily designed for long trips over the waters. Whether it’s a weekend camping trip or a month-long journey, these types of canoes are ready to take on the miles with you. They have the speed, capacity, and seaworthiness necessary for a successful long paddling adventures in open waters and smaller lakes or rivers. Many expedition canoes feature an asymmetrical hull which provides excellent forward speed and tracking. The shallow V-shaped hull also offers high secondary stability and superior performance over rough waters. All in all, the canoe’s design allows for efficient paddling and stability, both of which are necessary for extended trips and ensuring the safety canoers on the water. These specialized canoes are constructed specifically for whitewater and river paddling and are designed differently from regular canoes. Whitewater canoes will have high sides to prevent or reduce water entry, though of course they aren’t as efficient at doing so when compared to fully enclosed whitewater kayaks. These canoes also have a high degree of rocker, and flatter bottom which enables them to turn quicker but at the expense of better tracking or the ability to paddle straight. Whitewater canoes also have sections in the bow and stern where flotation bags are tied. These helps to prevent the canoe from sinking when it takes on water or flips over, which is a pretty common sight where paddling in most whitewater rapid classifications is concerned. Racing canoes are mostly done on flatwater (also referred to as canoe sprint), though whitewater slaloms are just as popular. These racing canoes are generally made of light materials like fiberglass, Kevlar and composite materials. Their design also includes are a narrower beam to allow them to track over water better. Racing canoes are available in a variety of sizes, and these are often regulated by the committee overseeing the sport. For instance, a solo canoe (C1) will be much smaller than a tandem canoe (C2), and naturally a tandem canoe will be smaller than a C4 canoe (a canoe that includes four paddlers). The largest canoes to be used in sporting events are the C15 canoes, also known as ‘war canoes’ and can carry 15 paddlers at any given moment. As can be seen above, there are different types of kayaks and canoes available for all kinds of paddlers, and each of these are suitable for different kinds of paddling activities. There really isn’t any clear cut answer to the enduring kayak vs. canoe debate, as both are equally great in their own terms. If you’re torn between a kayak and a canoe, or maybe between a recreational kayak and a touring kayak and so on and so forth, just keep in mind the type of paddling you want to do and where you’ll be paddling and make your choice based on that information.